Global manufacturers and technology companies are facing a seemingly endless array of challenges. But the opportunities are plentiful for those who can seize the advantage from new technologies, new business models and new ways of designing their operations networks. However, navigating a path through the complexity is not easy. We provide consultancy, based on world-leading IfM research, in a number of strategic areas which will help your organisation thrive in today's - and tomorrow's - uncertain world. is clearly key to long-term growth. But this is easier said than done, particularly in a world where the speed of technological innovation is accelerating all the time. And this can make it difficult for R&D to always be doing what the business needs it to do. How do you get the balance right between delivering near-term projects while maintaining a healthy innovation pipeline, backing the right technologies and striking the right balance between risk and opportunity. Innovation and technology management is a major area of expertise at the IfM – we can help you drive real improvement in your innovation strategy and system and develop the people and organisation you need to deliver your organisational objectives. is a fundamental source of competitive advantage for manufacturers. As networks have become increasingly complex and fragmented, it is more important than ever that international manufacturers are able to ‘make the right things in the right places’, have agile and resilient supply chains, and the right people and processes to run them. We have worked with more than fifty leading companies on network projects and have developed a set of structured approaches which support organisations through strategic and operational change. More and more companies have come to realise that their customers value not just the products they offer but also the services – or ‘solutions’ – they can provide. Services are increasingly seen as a key differentiating strategy. But developing an effective servitization strategy can be challenging because the processes and principles are very different to those of traditional manufacturing. The Cambridge Service Alliance – a partnership between industry and academia – has been developing new approaches to complex service systems. Good design needs to be at the heart of every manufacturing business. Well designed products that truly satisfy your customers' needs will drive sustainable growth. But just as important is how those products are put together. If your manufacturing processes are expensive and inefficient, your business may still fail no matter how well-designed the finished product. The IfM’s Design Management Group uses experience-based and academically-underpinned tools to transform a company’s product range, deliver sustainable growth and produce improvements to productivity. Automation can be the answer to a whole host of manufacturing and operations questions. But deciding what, how and when to automate is not straightforward. The IfM’s Distributed Automation and Information Laboratory (DIAL) has developed a structured approach to guide you through the decision-making process. 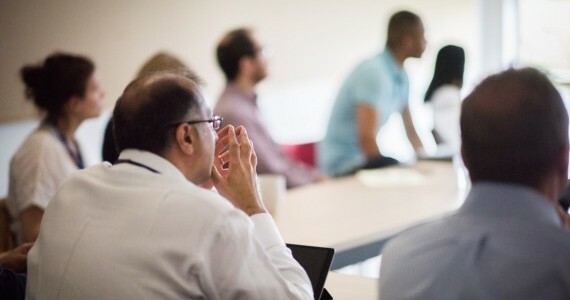 IfM is also a world-centre of research into business tools and processes which can be used to support strategic decision-making in a wide range of organisational contexts. We can both faciliate roadmapping projects for you and pass on our methods so that roadmapping becomes embedded within your organisational planning processes.